I wonder if there could be any possible flaw in this plan? Click for larger and more legible version. 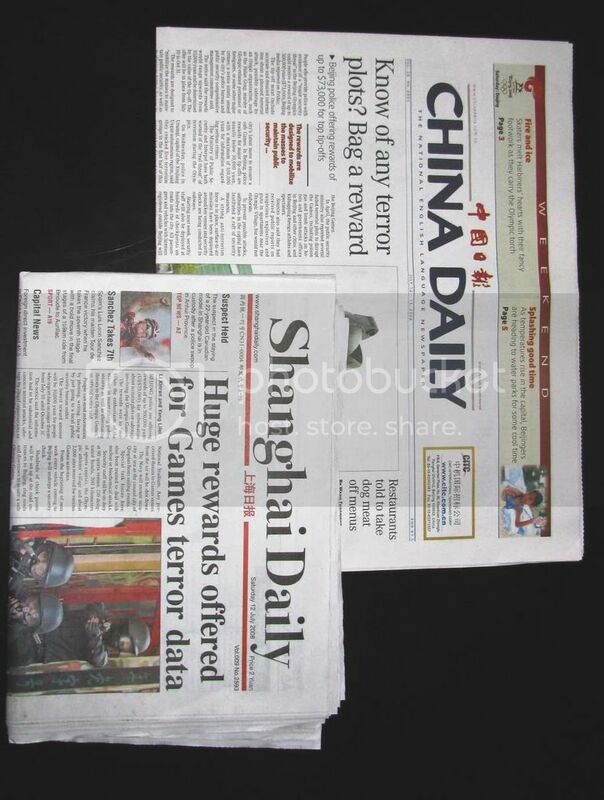 The headline in the (state-controlled) China Daily -- "Know of any terror plots?" -- makes me wonder yet again whether the foreigners hired to express the government's view to the English-speaking world are trying their very, very hardest to convey that perspective in the most totally convincing way, or whether they might having some fun on their own.